Want to get rid of the tiny PC screen? 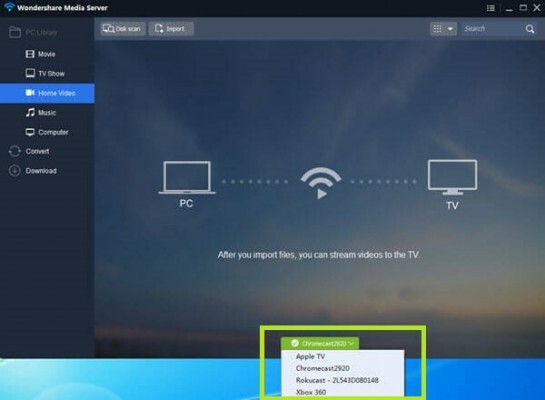 This post will bring you a nice solution for streaming videos from PC to smart TV easily using Wondershare Video Converter Ultimate. 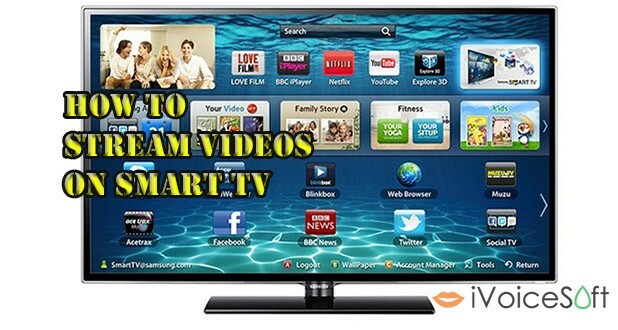 In the next simple steps, you will learn how to maximize your fun by transferring videos on personal computer to the bigger and higher screen solution of smart television. But first of all, click on either download buttons below to get the program before getting started. 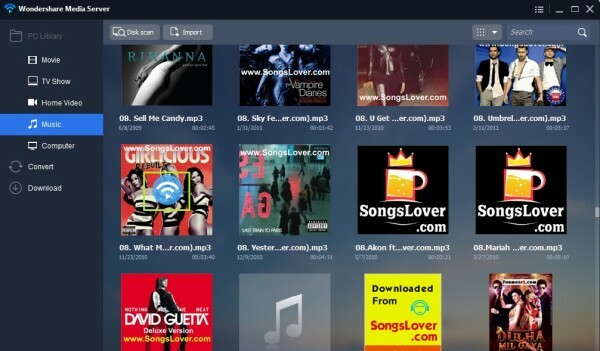 Note: A lifetime license for Wondershare Video Converter Ultimate costs $49.95. 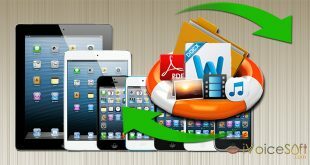 But you can buy at much cheaper price 60% OFF Wondershare Video Converter Ultimate discount from Wondershare coupon page or download free trial above (The trial version is functionally the same as the paid version except there is a watermark in the new output files.). 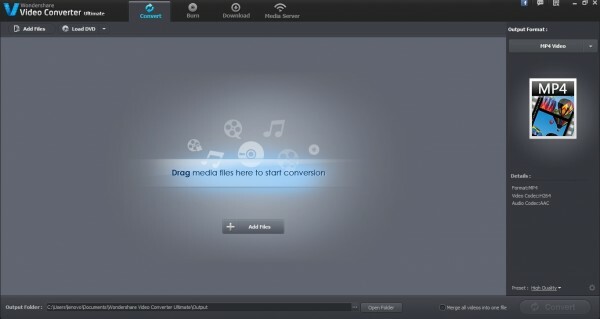 For more information about Wondershare Video Converter Ultimate, check out our detailed review here. 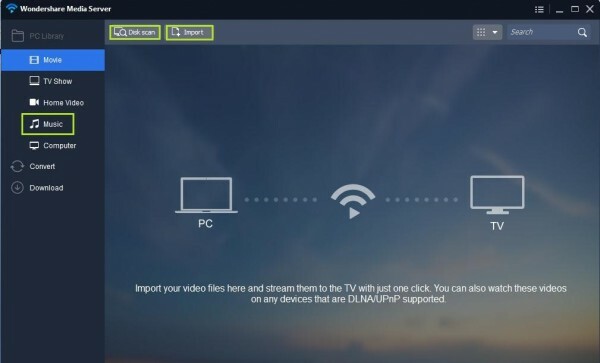 Before launching the program, make sure that your smart TV (or Chromecast) and your PC are in the same network. 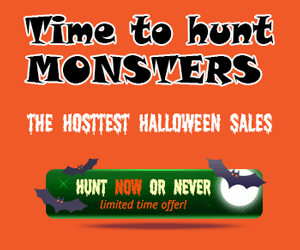 Click Media Server to launch this feature. Once the new window is open, you will see a list of devices that are connected to your PC. The devices supported are ChromeCast, XBOX 360, Apple TV, PS3, Roku, AirPlay and other DLNA certified devices. In this step, you can select preferred destination under Library section on PC >> Disk Scan to scan and add all disk’s items to tray. Alternatively, you can also use the import option for importing a limited number of specific files. Now, all the files have been added in the file tray. 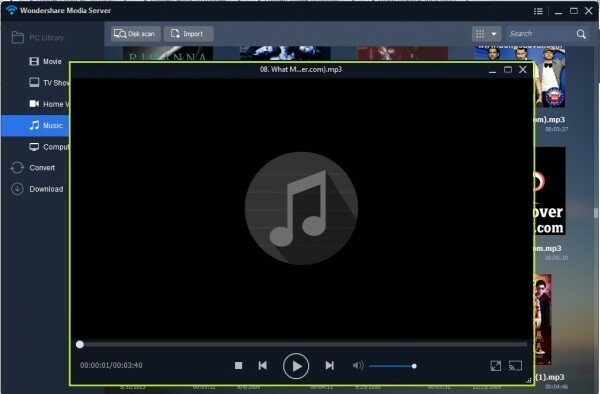 Hover your mouse on these files to see Play button. Click to start playing each particular video file on Chromecast.